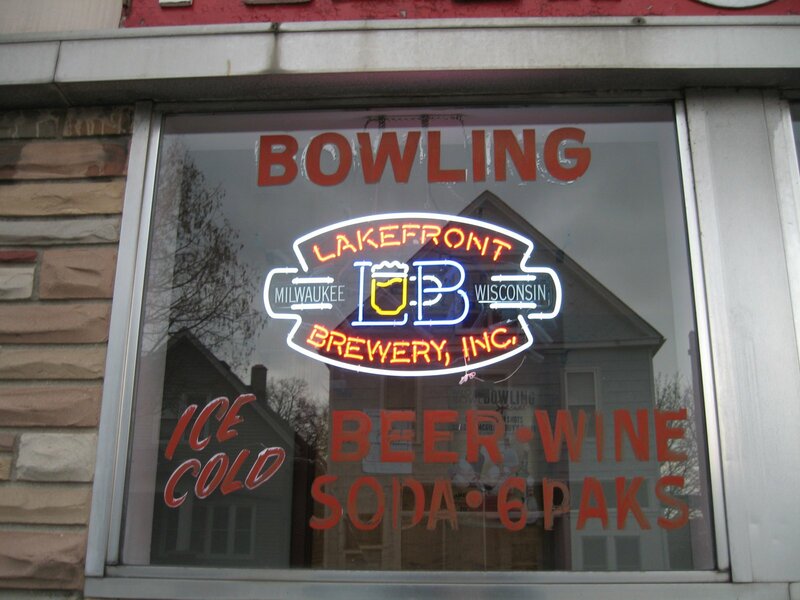 An old-timey bar and hall and the sixth oldest bowling alley in America. Classic. Falcon Bowl. Photo by Michael Horne. In the late nineteenth and early twentieth centuries, when working class people did not have access to Social Security or Workmen’s Compensation, fraternal societies organized along ethnic lines offered insurance policies to members, as well as a clubhouse and other amenities. A few such organizations survive. We have visited Club Garibaldi in Bay View, and now it is time to fly over to the Polish Falcons of America Nest 725, the sole remaining Wisconsin outpost and third home of this fraternal organization founded in 1887. Polish Falcon Nest 725 will celebrate its centennial on December 10th 2016. The nest has been located in this building since June 26th, 1945. 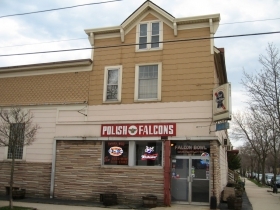 The white eagle is the symbol of Polonia, and it can be seen on a red sign with white lettering reading “POLISH FALCONS” on the facade of 801 E. Clarke St., the tavern, bowling alley and banquet hall called Falcon Bowl at the southeast corner of N. Fratney St. More elaborate versions of the Polonia symbol can be seen a block away at Kosciol St. Kazimierza, the magnificent parish church built in 1899, when this tavern was already 17 years old. If you look straight on at the Falcon facade, you can see that this is a narrow building, built as one of the many corner taps that define the social character of the neighborhood. Across the street, a former Schlitz bar is now the Riverwest Co-Op. A projecting Pabst sign at the Falcon is bereft of information as to the name of the place, and the “OPEN” neon is long lost from its sign as well. From N. Fratney St. the building looks more residential than commercial, but with air conditioning units piercing the walls where windows ought to be and once were. 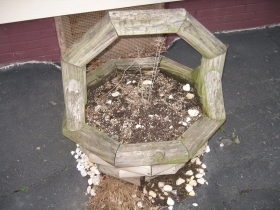 The landscaping here is asphalt, but some enterprising members have constructed wooden planters that await spring. Other planters have had their day and await the firepit. But for sure, you are looking at a Milwaukee bar. The siding is largely asbestos, with some stone set in at the door to denote the entrance. This dates from the 1950s when the original corner entrance was modified. The building has a commercial cornice to distinguish it from its purely residential neighbors, at least when looking at it from the north. Running east is a barnlike 1898 addition that incorporates a 3,600 square foot hall above the 5,096 square foot subterranean bowling center that gives the bar above its name of “Falcon Bowl.” The stonework appears here as well, topped by asbestos and finally a course of original cedar shake shingling cut in a decorative pattern. Ice Cold Beer-Wine-Soda-6 Paks. Photo by Michael Horne. A six-pack to go in this day and age? Or is this merely a message from a ghost sign? We must go in and find out. 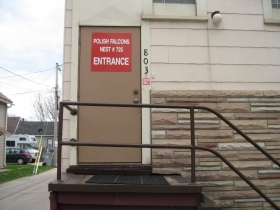 The entry door is a recent one, and its once-transparent acrylic surface is faded and scratched and is now merely translucent. It has stickers attesting that the organization within is a “Certified Bowling Center.” After an assault of neon thanks to Lakefront Brewery, Miller Lite and Budweiser, we are faced with some stairs to climb before entering another door. 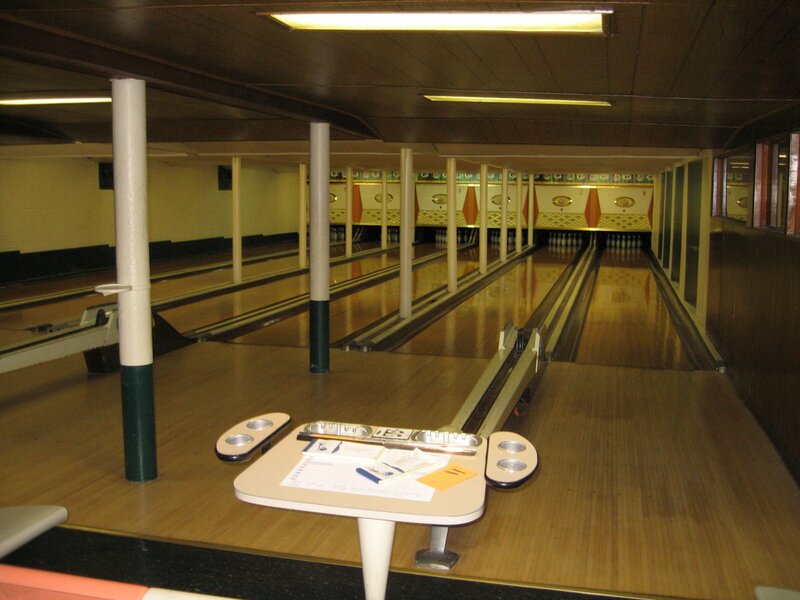 Don’t try the down stairs if you are looking for the bowling alleys — you have to come in to the bar for that access. This was long a tavern dance hall that operated under many names, including Hanke’s Hall, Wanta’s Hall and Papka’s Hall. In 1934, Paul Listwan got a permit to occupy the place as a “Tavern & Dance Hall.” Its use during Prohibition was listed as “Same.” It is quite likely that beer was served at the Armistice Day Ball here in 1929. In the 1970’s, the tavern portion was operated as the Hard Time’s Tap. According to a poster on the wall, the Polish Falcons offer “Riverwest Kid’s Fitness” programs for ages 4-17 evenings from 4:30 to 7 p.m. This exercise is part of the Falcon mission, which is quite similar to that of the German and Swiss Turner organizations which promoted a sound mind in a healthy body. So while the kids are getting a workout in the gym, we’ll head over to the grownups department and grab a cold one. Here’s another sign — the 2nd Annual Falcon Bowl 9 Pin Tap Tournament is coming up on Saturday May 7th. The poster reads, “Grab your shoes and get ready to roll … none shall be spared.” That’s clever. All right, we finally made it in. The first thing to greet us is a nice pool table, 75 cents a game, and with decent sticks. It is even supplied with hand chalk, which you don’t see much any more. The decor is 1970’s wood panel wainscotting below plaster topped by an adhesive acoustic tile ceiling that has seen dryer days judging from a few bulges. The floor is linoleum tile, like you’d find in a school hallway or church basement. Steps away from the pool table a large, assertive wooden bar whips around a pillar in a giant arc. It has a nice wooden bar rail and is served by padded, cushioned, swivelling stools upholstered with vinyl of vibrant Polish red hue. The pillar serves as a backdrop for a mechanical cash register, quite tobacco-stained, and apparently not much in use. Next to it is a microwave of some vintage which appears to be plenty used. It serves as a shelf for a rack of bagged snacks, like peanuts in the shell. It also has packages of “Pain Relief” for after you’ve eaten a rack of bagged snacks. As you head south to see where the curved bar reaches its end, you pass a men’s room in a corridor that also leads to the meeting hall beyond, where the exercise activities are held. I’ll venture that the sink and the ice-filled floor urinal date to the hall’s construction. For connoisseurs of vintage plumbing accessories, this alone is worth the trip, especially after a couple of beers. Nearby is the women’s room and next to that is a narrow stairway that leads to the bowling alley below. Stacked along the stairs are numerous trophies and awards won by the Falcons’ various teams (bowling, darts, baseball) over the years. There is even a pink bowling pin that was probably won by the ladies’ team some years past. By now you’ve made it to the other end of the pillar where the bar straightens out. Here you will find a modern cash register right next to a dice cup. Here also are walls of bagged snacks in wondrous profusion. No wonder the pain relief is nearly sold out. A red telephone hangs from the wall, as well as a brass bell apparatus that the bartender might ring if he finds himself sufficiently inspired by your tip. The west wall has some very old bar back cabinets, while the rest of the place is outfitted with more recent hardware from the 1950s. Much of the furniture is used to store stuff that collects around the place. This is another touch of home. Finally, at the south wall, the bar room comes to an end. What greets you is a marvel — a fully stocked cooler brimming with six-packs to go, just as promised in the faded window sign. They include your domestic cans like Miller and Budweiser (Pabst is sold in 12 packs). 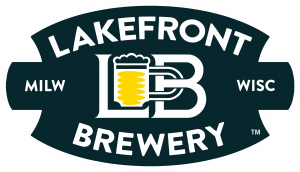 There is practically a whole shelf of Lakefront products, along with quite a number of discerning selections from New Glarus, and other items the distributors are pushing. The cooler even has some bottles of white wine and cider. We’ll grab something before we go. A six pack of the good stuff will run you just $9, which is about the same price as at the store. Glad we came here, that will save us a trip. Bowl lanes. Photo by Michael Horne. If you want, you can head downstairs to see the set-up in the bowling department. The six lanes were certified in 1913 and are still in use, making them the sixth oldest in continual operation in America. The bowling center has its own bar running along a wall, but is not as robustly stocked as the place above. The bartender here has to run upstairs for anything complicated, like a drink with more than one ingredient. The room does have some awesome Formica-and-wood round tables with orange tops. While the six lanes themselves are old, the machinery is Brunswick circa 1965. Tonight is league night, so it is best to get out of the way. This place runs more or less as its own operation. We’ll return another time. Back upstairs, resist the snacks and get some liquor in your system first. The tap beers include things like Miller as you would expect in a working class club. But this is Riverwest, where there is a big demand for locally brewed beers, so neighborhood brewery Lakefront commands a number of taps. With a beer you’re going to need a couple of shots as chasers, so for goodness sake’s order a brandy. You bet they have it back there somewhere, and not the fancy stuff either. My, that went down nice. By pleasant misfortune the bartender has accidentally poured gin into a glass that was supposed to be vodka. Instead of tossing it down the drain, like they do in the fancy places, he’s going to ask if you drink gin. You’re going to say yes, and you got yourself a free one. Why let good gin go to waste? That’s another nice Milwaukee touch. Let’s stick around for awhile. Forget the kids in the gym — they can walk home. Did I ever tell you that the “Falcon is a symbol of the independence, strength, courage and prowess that the group promotes”? Well here, let’s head over to the pool table and I’ll explain the principles of Polish Falconry to you. Say, bartender, can we have another? The Falcon hall has been had some interesting bands play here over the years, including one of the earlier performances by the Violent Femmes and a 1990 show featuring blues greats Muddy Waters and Howling Wolf. It also was the locale for some years for an international art show. 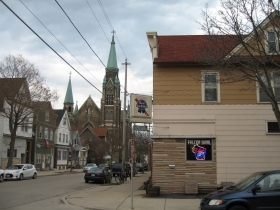 The Falcon Bowl will be one of 20 bars featured in the Riverwest Pub Crawl to be held this Saturday, April 9th. The event begins at The Gig, 1132 E. Wright St. Tickets are $15. Heres’ the event Website and Facebook Page. The annual Our Lady of Divine Providence Church Festival will take place Sunday, April 17th from 10:30 a.m. to 6:30 p.m. at the Falcon Bowl. This event is a great neighborhood gathering featuring Polish and Puerto Rican dishes, plenty of beer, amusements for the kids and bowling from 1-4 p.m. in the historic lanes. The music will be by the Trio D’Amour bluegrass band. This is an opportunity to see the great hall attached to the modest tavern and to enjoy a neighborly time in the old Milwaukee tradition. Location: 801 E. Clarke St. 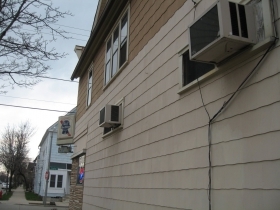 Description: Original corner structure was built as tavern in 1882. Bowling lanes and hall above added in 1898. Has been site of fraternal organization since 1945. Old timey classic Milwaukee tavern has its quirky charm. Signature Drink: Shot of brandy and a beer to get started. Year Established: As Polish Falcon Nest 725, 1945. Year Building Constructed: 1882, bowling lanes, hall date to 1898 addition. Estimated Annual Rent: Tavern and Bowling Alley: 6,326 square feet at $11.15/s.f.=$70,534.90 per annum according to City Assessor’s calculations. Property is assessed at $16,800 for the 8,400 square foot lot [$2.00/s.f.] and $621,100 for the 12,502 sq. 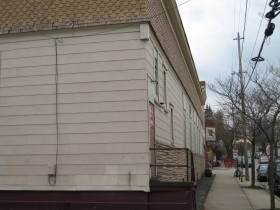 ft. building for a total assessed valuation of $178,000. Taxes of $5,413.18 paid through an installment plan. Just wanted to say this was a good description. I have been going to this facility for over 22 years and my parents and grandparents before that. I belong to Polish Falcons of America and am quiet active. If ever interested learning about about this history I can bring it up to our board to have you come in and chat a bit! It is truly quiet interesting. I learned so much more from reading your article about The Falcon Hall than I’d known before, Michael Horne! And it’s certainly become a place where lots of Eastsiders commune for all sorts of events and activities! 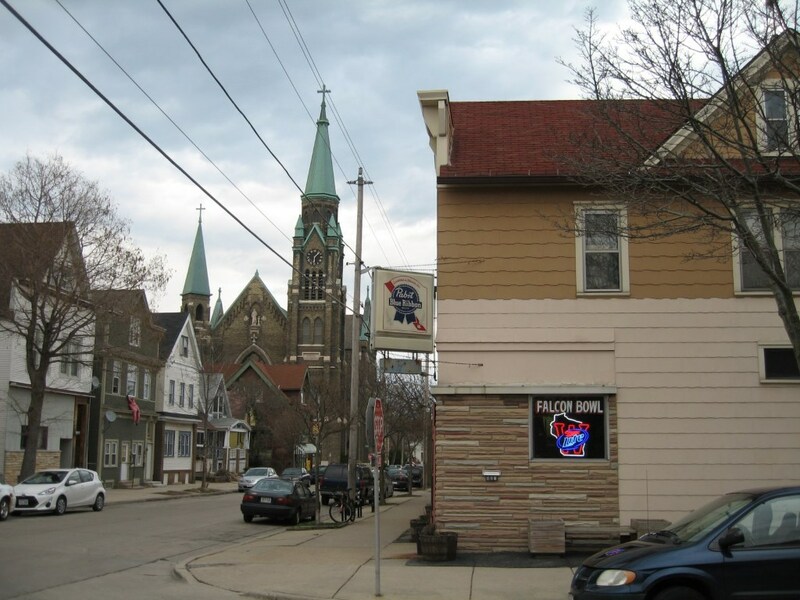 Two Milwaukee treasures: a classic tavern and a writer with an eye for vivid detail. My Dad owned the bar in the 70s. It was called Solski’s Polish Falcons until he died in 1976. My Mom and Dad though had their Wedding there in 1942.